Glass Communication Boards – We Ship to Your Town, USA!! Our 1/4″ thick, tempered glass communication boards fit into any environment, especially where facility branding and customization is a must. Choose non magnetic or magnetic and countless background options. Leave all the graphic work to us and watch your patient satisfaction scores soar! There is no other custom printing option like ours which is printed directly on the back of the glass. Patient Communication Boards Glass – We Ship to Your Town, USA!! 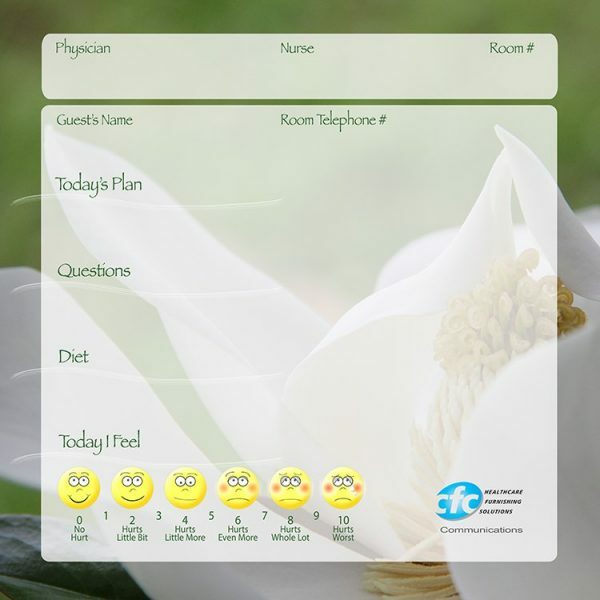 Our 1/4″ thick, tempered glass patient communication boards fit into any environment, especially where facility branding and customization is a must. Choose non magnetic or magnetic and countless background options. Leave all the graphic work to us and watch your patient satisfaction scores soar! There is no other custom printing option like ours which is printed directly on the back of the glass. Glass Patient Boards – We Ship to Your Town, USA!! Our 1/4″ thick, tempered glass patient boards fit into any environment, especially where facility branding and customization is a must. Choose non magnetic or magnetic and countless background options. Leave all the graphic work to us and watch your patient satisfaction scores soar! There is no other custom printing option like ours which is printed directly on the back of the glass. Patient Room Communication Boards – We Ship to Your Town, USA!! 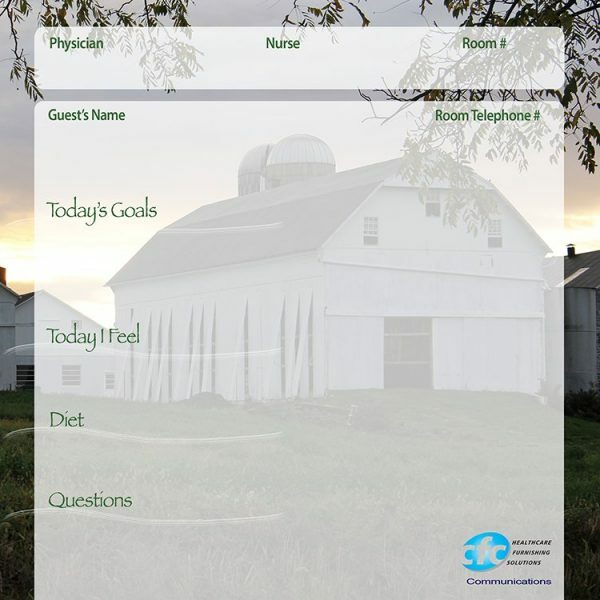 Our 1/4″ thick, tempered glass patient room communication boards fit into any environment, especially where facility branding and customization is a must. Choose non magnetic or magnetic and countless background options. Leave all the graphic work to us and watch your patient satisfaction scores soar! There is no other custom printing option like ours which is printed directly on the back of the glass.